Geared Motors, Worm Gear Motors, Worm Gear Motors, Worm Gear Motors Manufacturers, Worm Gear Motors Suppliers from Mumbai, India. 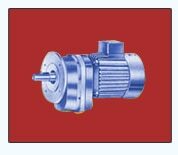 Leveraging on our rich industry expertise, we manufacture, export and supply the supreme quality Worm Geared Motor. This motor is manufactured in close coordination to stated requirements of our esteemed patrons. Our offered geared motor is made available to the clients at industry leading price. Quality controllers working at our end are highly experienced to test these products prior offering to our clients so as to maximize their satisfaction. Worm Geared Motor manufactured by us is delivered at the customer specified location within the promised time frame. Features: * Sturdy construction * Dimensional accuracy * Precise design * Durable Other Details: WORM GEARED MOTORS, foot or flange mounting type, rated power 0.09 Kw to 25 Kw, in various ratios giving Output Speed 12.5 to 200 RPM with proper selection of input speed and ratio, Output torque 20 NM to 6000 NM.